The hair root is the preferred sample for genetic testing because it is the most cost efficient sample type to collect and process. 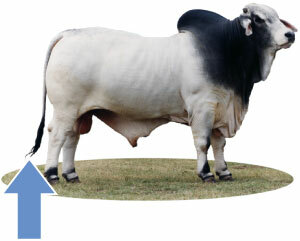 It is also the sample of choice for any bovine genotyping as it avoids the complication of haemopoeitic chimerism, which is common with bovine twins. Haemopoeitic chimerism is a phenomenon whereby haemopoeitic stem cells from one twin colonise and establish in the other twin in utero. Subsequent genotyping tests may then be inaccurate if based on DNA isolated from blood of the twins. Such a DNA source will reflect the genotype of the twin whose stem cells dominated the co-twin, not the true genotype of the co-twin. However, this is the basis for the condition known as freemartinism and therefore only a blood sample can provide accurate results. Hence, if freemartinism is the test selected a blood sample must be provided from the female twin, otherwise, hair samples are suitable and preferred for all other tests. DNA is contained in the root of the hair, not in the shaft itself. 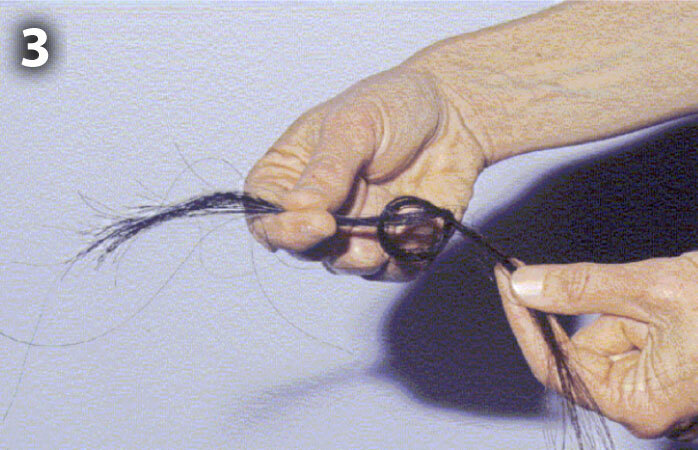 It is therefore essential that the hair roots (which are clearly visible as bulbous protrusions) are attached to the plucked hairs submitted for DNA analysis. 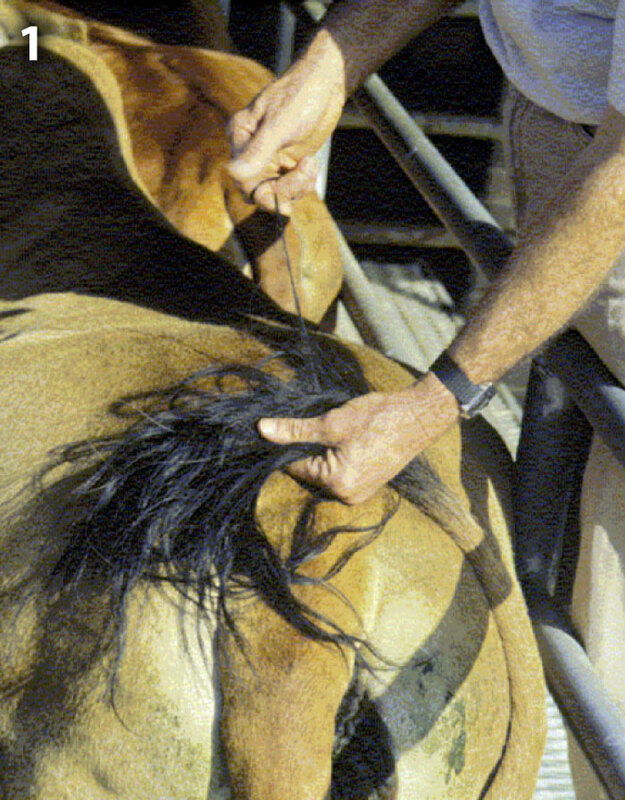 Tail hair roots from cattle and horses are suitable for genetic analysis. It is important that hairs submitted for DNA analysis are clean and dry. Moisture, combined with faecal contamination, which is difficult to avoid in some instances, degrades the DNA, impacting on our ability to obtain a result. If necessary, wash dirty tails or hair samples and dry prior to sending samples to the laboratory. If moisture cannot be avoided, transfer the hairs to a freezer ASAP to inhibit bacterial and fungal growth. 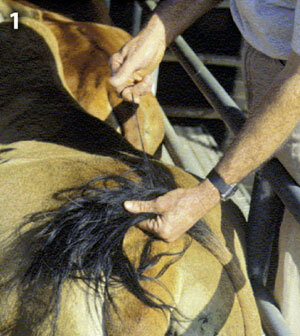 Select 10 - 20 tail hairs and tie a knot in mid shaft. Wrap the knotted hairs around your finger, and pluck with a rapid, sharp motion. Repeat the procedure to obtain approx. 30 to 40 hairs. 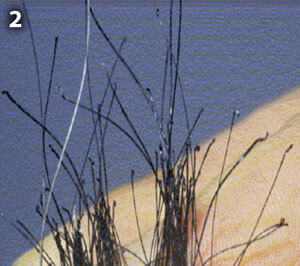 The hooked or bulbous hair roots plucked from under the skin should be clearly visible. If the samples are contaminated with faeces, trim the distal end beyond the knot (opposite end to the bulbs). Place the knotted hairs in an envelope, which should be labelled with the unique identity of the subject from which the sample was collected. It is this identity that will appear on the report. A copy of the current Australian Quarantine Inspection Service (AQIS) permit. A declaration indicating the samples were heat-treated as required. Please contact ABBA to receive copies of the current importation documents.